Jambo! 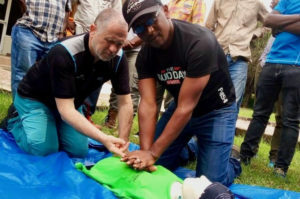 A trip to Mount Kilimanjaro should be well planned, and well prepared. 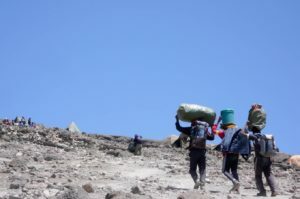 Here, we tell you in detail everything worth knowing about climbing Kilimanjaro. 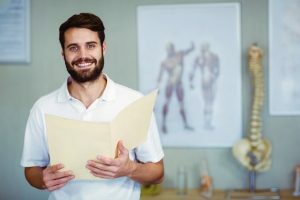 We speak from our personal experience, and provide you with our in-depth research regarding preparation, equipment, particularities of the country, and much more. 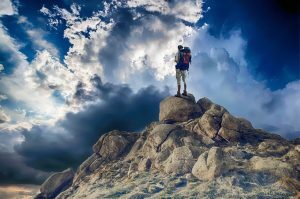 At last, we give you practical tips and tricks for your expedition to the roof of Africa. You feel overwhelmed by the range of offers and don’t know how much you actually pay for what? That was the same for us back some time ago. That’s why we’ve broken down all the important parts of a trip and the corresponding costs step-by-step. In addition, we speak about your impact and contribution to a successful journey. 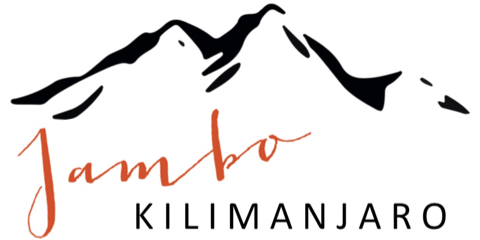 The ascent of Kilimanjaro costs more than most other vacations. However, the experience is unique! 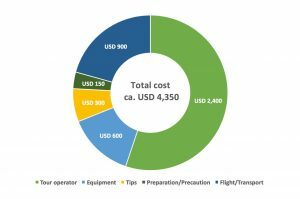 Below is an overview of the costs that you should roughly estimate for climbing Mount Kilimanjaro. Other countries, other habits – and languages! 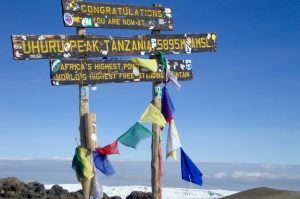 In this article we present you some of the most important words and phrases that you can use during your stay in Tanzania or on Kilimanjaro. Moreover, you learn where in Tanzania which language is spoken, and how far you get with English. 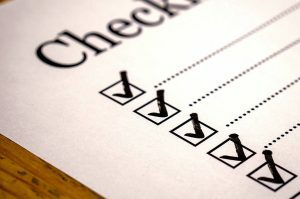 For all travelers, the payment of hotels, transports, food, and tips is an important topic. 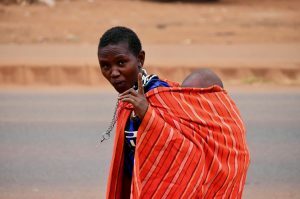 In Tanzania, standards and habits are different than what you might be used to in Europe or North America. 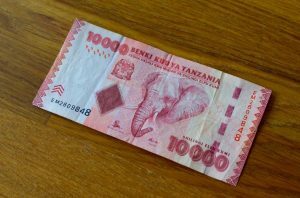 Here, you will find out all significant details about payments, money, and money withdrawals in Tanzania. 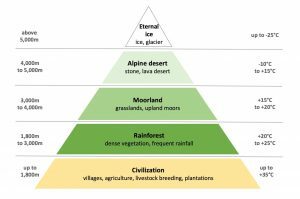 The climate on Kilimanjaro differs considerably from European climate. Moreover, you will not find the four seasons there you might be used to from Europe. Instead, it is relatively constantly warm all year-round. 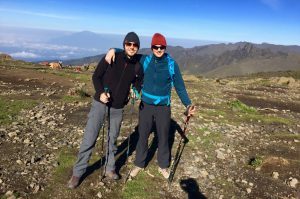 Why some seasons and travel times for ascending Kilimanjaro are nonetheless recommended more than others, you will find out here. 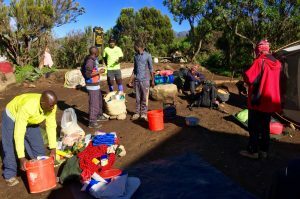 Hygiene on Kilimanjaro – that’s how you stay fresh! 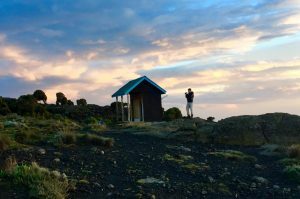 Sanitary facilities are scarce on Kilimanjaro, and there are no restrooms or showers at all. The existing toilet houses, too, do not ensure the comfort one is accustomed to at home. 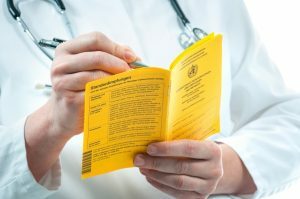 Why this does not imply a hopeless situation, and how you can ensure a minimum level of hygiene and personal care, you will find out here. 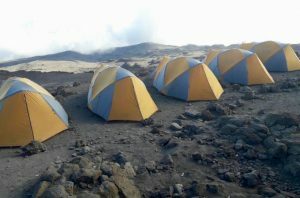 Climbing Kilimanjaro is varied, and full of new impressions for most travelers. 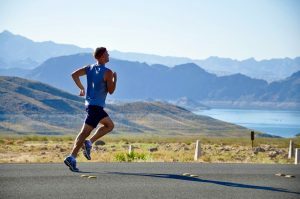 Nevertheless, there are certain routines during the several days’ hike. 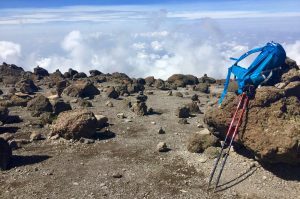 In this article we tell you what a daily routine on Kilimanjaro along Machame Route looked like for us.